We’re once again connecting with our heritage through food, and this time we’ll be serving a Prix Fixe Menu – Three Course Meal Hapunan (Dinner). We hope you join us and try some traditional Filipino dishes with modern sensibility. It’ll not be Kamayan style but just as delicious! Kain po tayo! Thank you for supporting our pop up and helping make Atlanta’s dining scene the most diverse ever! Tickets are limited so get your tickets now. Tickets will NOT be sold at the door! Please note that this event is non-refundable since we purchase and prepare the food in advance per the number of tickets sold. We do our best to ensure each attendee has delicious food, meets new friends, and has a wonderful experience. Do I need to have a ticket if I am bringing my kid that is 4y/o or younger? 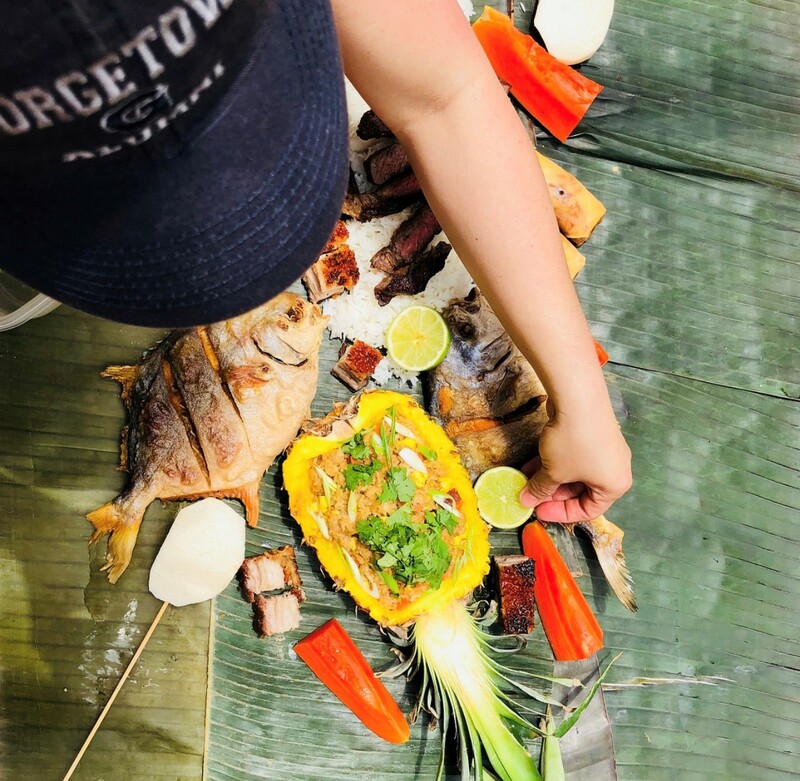 This particular event isn’t like our Kamayan pop ups where all the dishes are laid down on banana leaves. The prix fixe menu will be like a regular restaurant service so the people with small toddlers either just share their 3 course meal, or buy separate tickets for their children. Email us at KamayanATL@gmail.com for any questions! You can either print your ticket or have it ready on your mobile phone. Absolutely! As long as there are tickets for everyone in your party despite the name on the order. 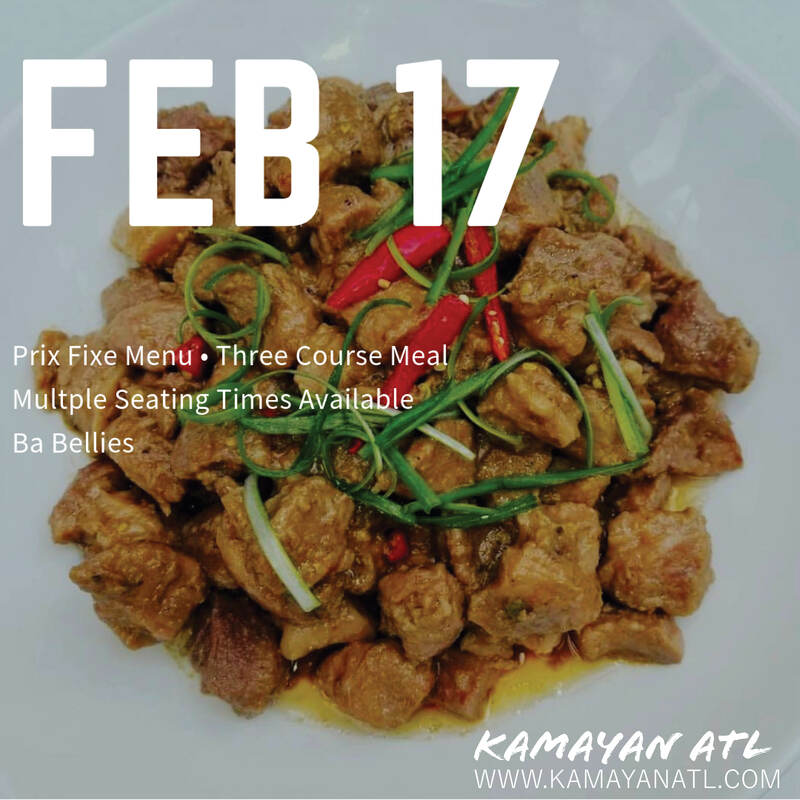 I didn't get a chance to purchase tickets since they're sold out, are there upcoming Kamayan ATL Filipino Pop-Up dates? Yes! Check Instagram, Facebook or website for updates!